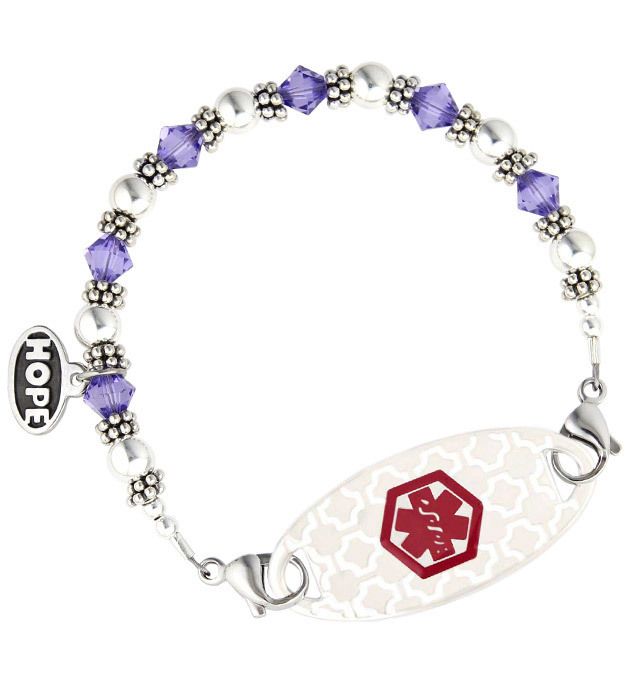 A simple yet fun combination of Tanzanite Swarovski crystals, sterling silver, and Bali beads makes this interchangeable medical alert bracelet the perfect addition to your wardrobe. Attach any Lauren's Hope custom-engravable medical ID tag and you're ready to go. This bracelet is suitable for everyday use including hand washing and bathing.